Includes Carpenter's evocative reimagining of "This Shirt"
Sometimes Just the Sky is not a greatest hits endeavor or a remastered compilation. It's not a celebration or a souvenir. It is a reimagining of a most unusual nature. It is a collection of songs written across the decades, recorded in bucolic western England at Real World Studios with the great producer Ethan Johns. 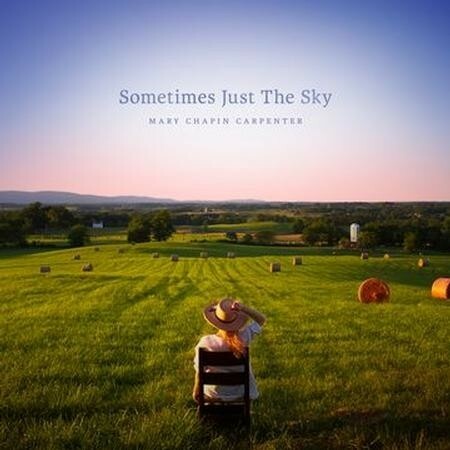 Grammy winner Mary Chapin Carpenter reimagines one song from each of her previous studio LPs for the new album, out March 30, 2018. Carpenter sat with new and old friends who circled together in a wooden room and made music, in real time. What we hear is precisely what was played and sung, all at once. There's a song originally recorded for each of Carpenter's original studio records, and then there's a new song, which was aided and abetted by hillside contemplation and a punk poet's advice.